I hear this too often from people who are either currently on a diet or have been on one in the past. Since their kids eat “kid food” like nuggets, fries, lasagna, fast food, or pizza, they have to prepare boiled chicken and asparagus to eat on the side. Despite knowing that yo-yo dieting is a bad idea, millions try it every year. Besides being a completely unsustainable approach to nutrition, there are far-reaching consequences to these behaviors. Children are incredibly influenced by how their parents talk about food. According to research by Damiano and colleagues, “Adolescent girls are more likely to engage in weight loss attempts when their mothers engaged in extreme and presumably more observable weight loss behaviors rather than moderate weight watching and body dissatisfaction.”1 The research isn’t as clear regarding boys, but it does show that the father plays a big role in how boys perceive body image. Children pick up on these behaviors as early as preschool. Results from one study2 show that if a parent is neutral toward food, meaning not too pushy to eat healthy or unhealthy, children tended to be normal weight. Conversely, excessive control by the parent lead to over-eating by the child. As someone without kids, I am in no position to give advice on parenting styles. However, this is beyond parenting styles. Our entire future adult population is growing up with incredible social pressure to have the “ideal” body. Social media, television, models, sports, and peers influence the way kids think about body image, dieting, and health. 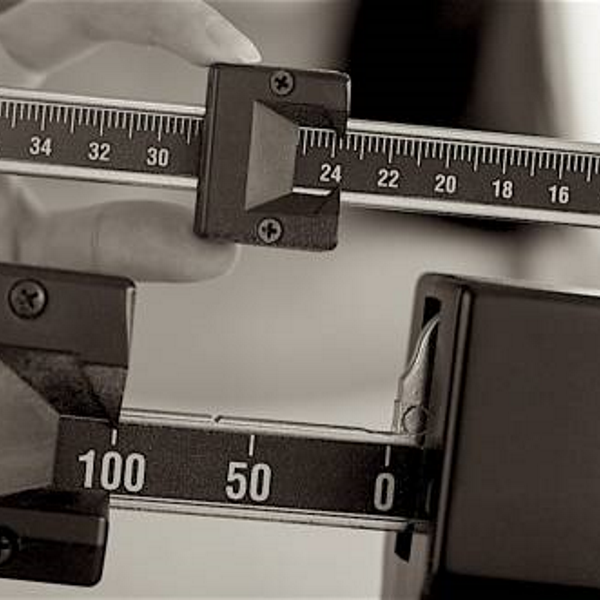 It’s more important than ever for kids to learn proper weight control and reasonable body image. This message must come from the home, but unfortunately this is where most problems begin. Kids notice when parents cook different food, and they associate those foods with what mom or dad eats to lose weight. And so, kids grow up thinking that vegetables are a diet food. The irony is, these parents are generally amazing people who would do anything for their children. In fact, a lot of their motivation to diet is not only for looks, but also for longevity to see their kids grow up. As a parent, it’s perfectly fine to want to lose weight, gain muscle, or have any other health goal that involves food. However, if you need to eat different foods from your family to accomplish this, what the heck is your family eating in the first place? I understand that kids can be picky. To alleviate some of the mealtime struggle, make your kids a part of the process. Have them choose a few recipes each week that include vegetables. At the grocery store, let them pick out produce that looks fun. When kids take ownership of their decisions, they are more likely to try eating something new. Frozen chicken nuggets, spinach, and fries are fine to eat on occasion. But when you do eat a more nutritious meal, make a big deal out of it. Point out that vegetables make you strong and healthy, not just something to eat leading up to bikini season. Pass down cooking skills, teach them what well-rounded meals look like, and model healthy food habits yourself. Everything you do regarding food can and will be imitated. Give your kids the tools to make better decisions. Eating together is a fading tradition. I recently watched a family sit for a meal and not one of them looked up from their phones the entire time. I can only imagine that at home they rarely eat as a family. While it may not be realistic to eat every meal together, it should become a priority. Even if you stop dieting and make healthy choices, your kids won’t learn if they aren’t around to see your changes. If you want one reason to stop the dieting cycle, do it for your kids. Food practices and perceived body images are learned through the parents at a very young age. It’s hard to go back and change habits once the impressions are made, and these unhealthy mindsets carry into adulthood. A poor relationship with food begins early, and it is sad to see. But it’s not too late to make a lasting change. Food is a source of nourishment, a vehicle for making memories, and something to look forward to and enjoy. Let’s give that gift to the future generation. 1. Damiano, Stephanie R., Karen J. Gregg, Emma C. Spiel, Siân A. Mclean, Eleanor H. Wertheim, and Susan J. Paxton, “Relationships between Body Size Attitudes and Body Image of 4-year-old Boys and Girls, and Attitudes of Their Fathers and Mothers,” Journal of Eating Disorders, 3(2015). Accessed April 7, 2016. doi:10.1186/s40337-015-0048-0.